For over the past forty years, East West Partners has garnered some of the most prestigious awards in the real estate industry for the planned communities and resorts we’ve built. Our primary goal is to provide the highest quality of life at the most affordable price. 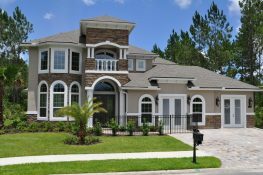 Each neighborhood features imaginative new homes being built by a carefully selected group of northeast Florida’s premier home builders with superior craftsmanship and materials being the hallmark of each of our builders. Dream Finders is an award-winning locally owned & managed company committed to quality construction, the constant pursuit of high customer satisfaction, and constantly strives to provide the best overall value in home building. Drees Homes’ vision of creating better homes and better communities is dependent on a focused approach that begins and ends with quality, personalization and customer service.